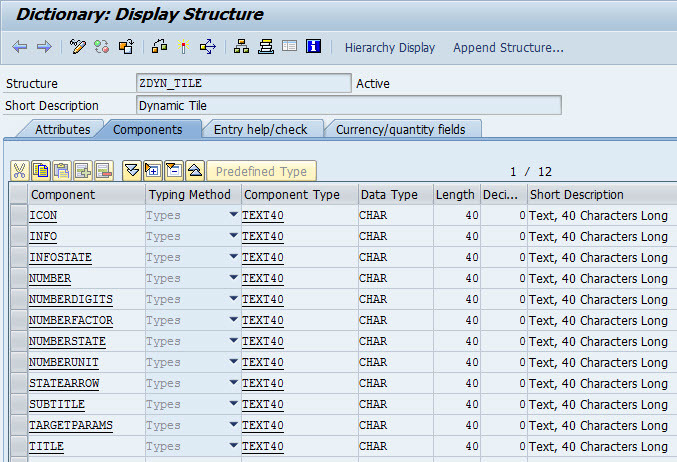 I came across a number of resources that explain Dynamic Fiori Launchpad Tile creation. They are missing some details or provide simplistic examples. In my blog I added clarity focusing on important aspects of implementation and provided more realistic example. In my example the same OData Service is used to feed two dynamic tile and calculating values dynamically using CDS views. As you can see from snapshot above there are two dynamic tiles. Left tile displays stock value and right one average product rating. Color coding is used for the values, for example, stock value ranged from 100 to 200 millions CAD is considered as good. Lets see how it is implemented. To begin with, I defined ZDYN_TILE DDIC structure to provide information for dynamic tiles. Super blog . Very much useful . Nice blog! I have tried this and have a few differences in what I see. 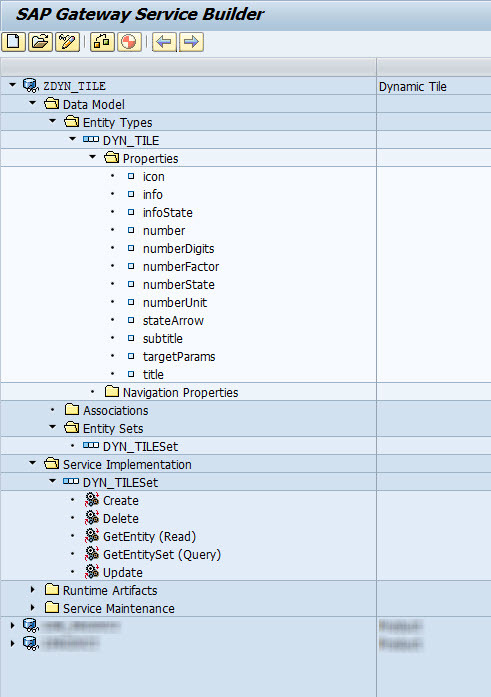 Firstly, when I debug the GET_ENTITY code I find that IT_KEY_TAB is sending through ‘Icon’ as the name field and not ‘Title’ as was contained in the above code. Would like to understand if I am missing something in the setup for this to happen. 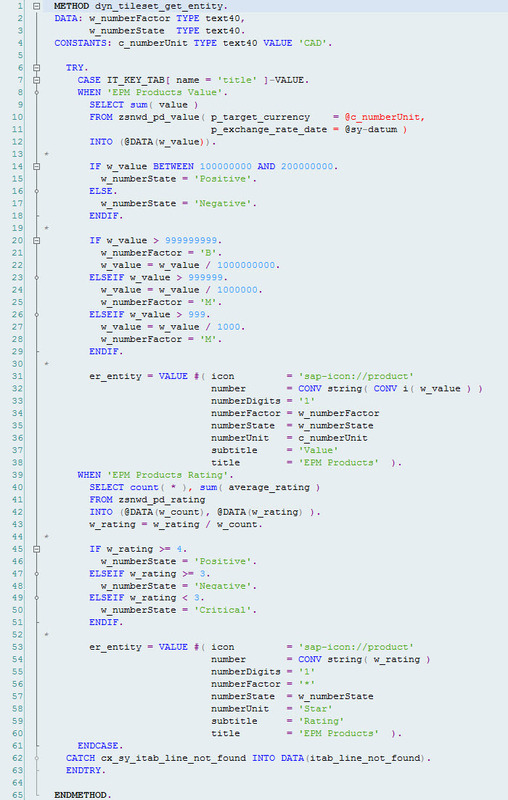 Additionally, is there any other code that needs to be put in place for the GET_ENTITYSET method to support this? I have carried out the above however I still have an error appearing and there is no number. 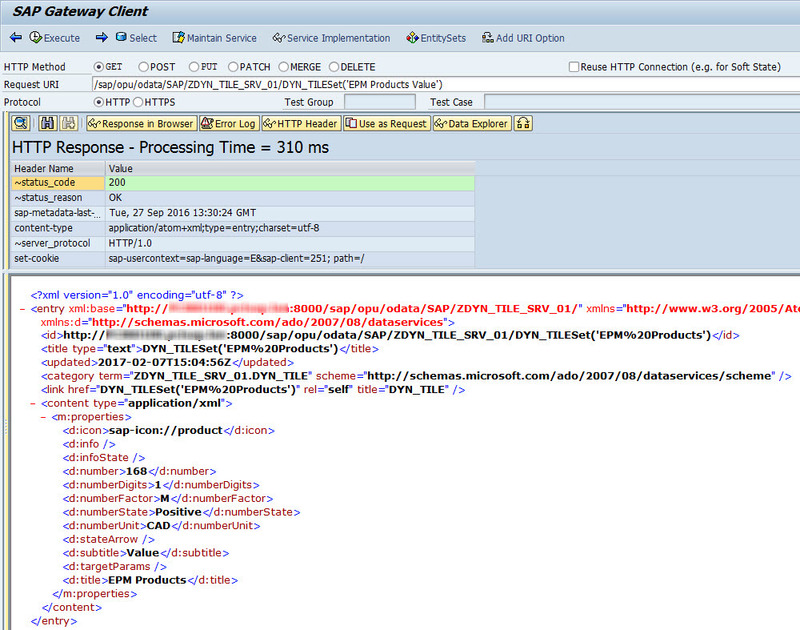 I get a HTTP request 404 error. The scenario I have is from SAP Cloud Platform (not using Gateway) so wondering if there is something different required. You can see in below screenshot that the number does come through to the entity no problems so I am thinking it is the actual tile set up itself. This is the error in the console. Thank you very much for the article. I can not manage this parameter to change the color of the tile. The color of the tile is adapted according to the value of this property. The precise color depends on the theme that you have selected in UI theme designer. Vitaliy, please check that your system up to date on support packs. It should work. thank you for this great example. Maybe you can update your Git repository and use the abapGit format. It supports also DDLS. 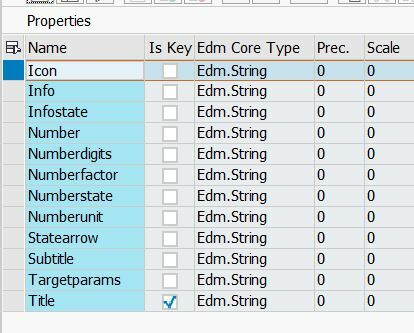 please check your entity key. I’m so sorry, but what do you mean? I’ve chosen the key in my structure. 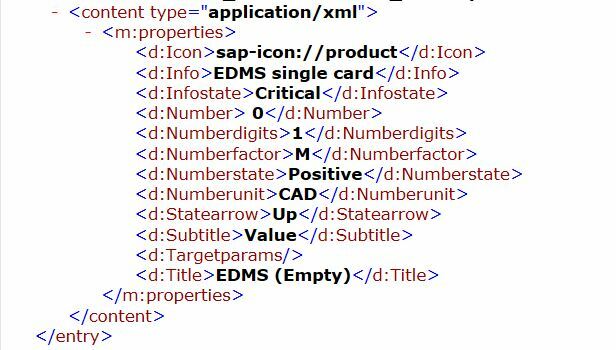 on your pic.1 OData Service Title property is equal to “EDMS (Empty)”, but on pic. 2. you pass entity key “1” instead. I have the same problem. 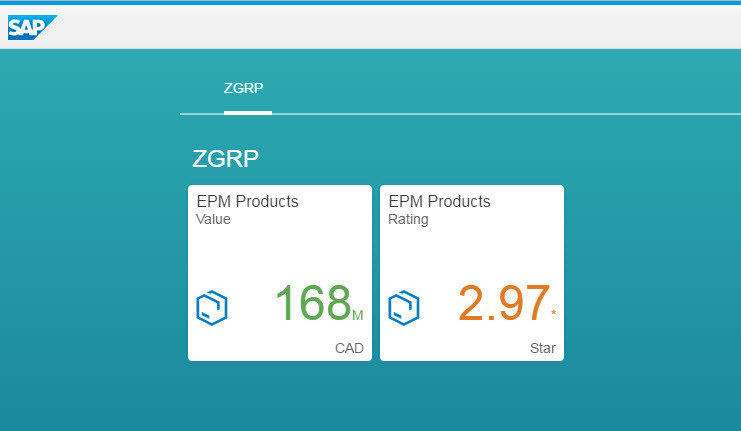 We are also on UI5 version 1.44. 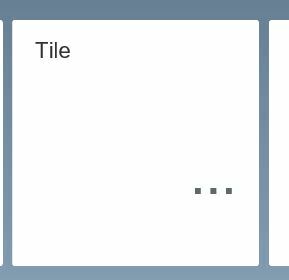 Aditionally, if the Infostate is not ‘Neutral’ the tile doesn’t show any content value, only three dots ‘…’.